SEATTLE - The two mountain bikers did what they were supposed to do when they noticed a mountain lion tailing them on a trail east of Seattle. 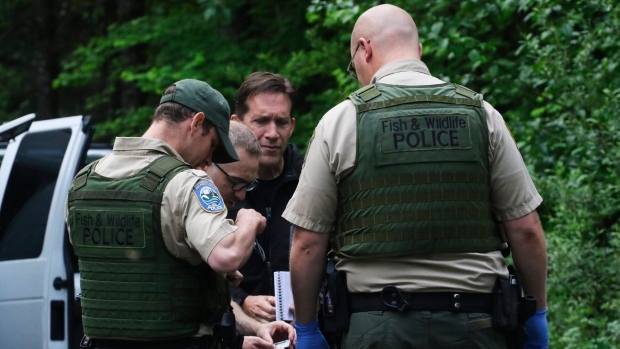 The attack Saturday near North Bend, in the Cascade Mountain foothills 48 kilometres east of Seattle, was the first fatal cougar attack in the state in 94 years. Myers said Sunday that the cougar was underweight - about 45 kilograms, when a typical 3-year-old male in the area would be 63 to 81 kilograms. After the cougar attacked Brooks, a badly bloodied Sederbaum managed to get on his bike and ride off. He rode for 3 kilometres before he could get a cellphone signal to call 911. Experts say that people encountering the big cats in the wild should stop and pick up small children immediately. Because running and rapid movements can trigger the animal's prey drive, don't run. Instead, face the cougar, speak firmly and slowly back away - appearing as large as possible, such as by standing on a rock or stump or opening a sweatshirt or jacket.